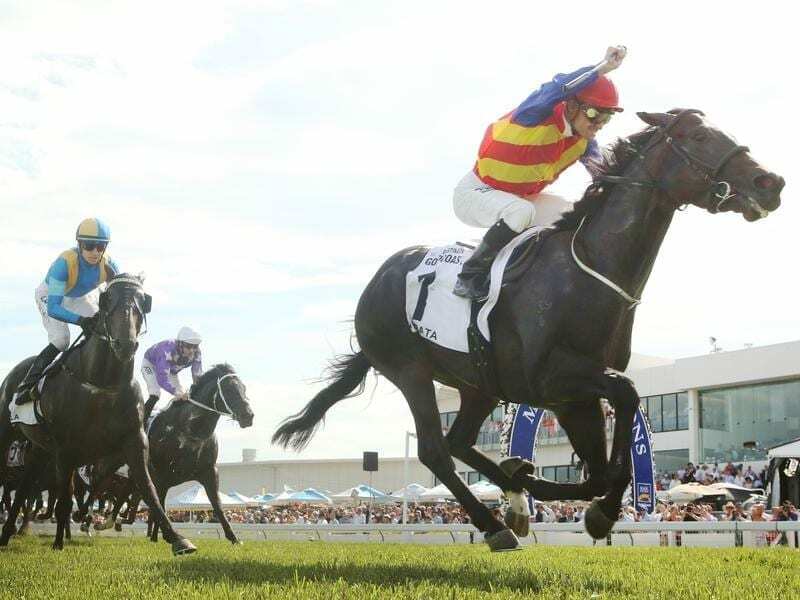 The Greg Hickman-trained Pierata is one of the favourites for the $1 million Epsom Handicap. Greg Hickman clearly remembers the day he watched Super Impose come from last under 61kg and weave through the field to score an historic win in the Epsom Handicap. It was 1991, Hickman was a young horseman coming through the ranks and that moment made an indelible mark on him. “I didn’t have a runner that day and it made me think, ‘gee, it would be nice to win it one day wouldn’t it’,” Hickman said. The Warwick Farm trainer gets his best chance to achieve that goal on Saturday when he saddles second favourite Pierata in the prestigious Randwick mile. The four-year-old resumed with a game Missile Stakes win in August before a minor leg infection forced him to miss a scheduled start. He showed he was back on track for the Epsom when he overcame a wide run to finish a brave last-start second in the Bill Ritchie Handicap. “His run was gallant, all he had to do was draw inside Tom Melbourne where he could have done it a bit easier,” Hickman said. “You see where Tom Melbourne finished, he finished down the track, so Pierata’s effort was nothing but gallant. He’d had six weeks between runs, it was the one that got away. Corey Brown, who won the Magic Millions Guineas aboard Pierata and finished second aboard the horse in the Group One Randwick Guineas, reunites with him for the first time this spring. With 54kg, Pierata will concede weight to every runner except Hartnell in a field where 10 of the 20 runners will carry 52kg or less. “I think you should be offering sandwiches around the jockey room before the race,” Hickman said. The Chris Waller-trained D’Argento and Unforgotten are equal favourites for the Group One at $4.20 with Pierata at $4.80 the only other runner at single figure odds. The pair form a formidable arsenal for Waller who has seven confirmed starters in the Epsom, a race the premier trainer last won three years ago with Winx.